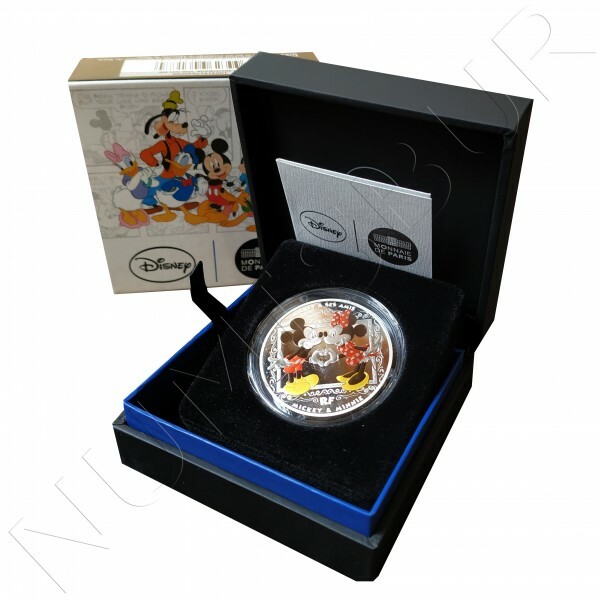 After Scrooge McDuck and his family in 2017, Mickey and his friends are honored on this collector coin series. Mickey is the most famous character of the Disney family. Created in 1928, he is quickly joined by his new friends: Minnie, Donald Duck, Daisy Duck, Pluto and Goofy. 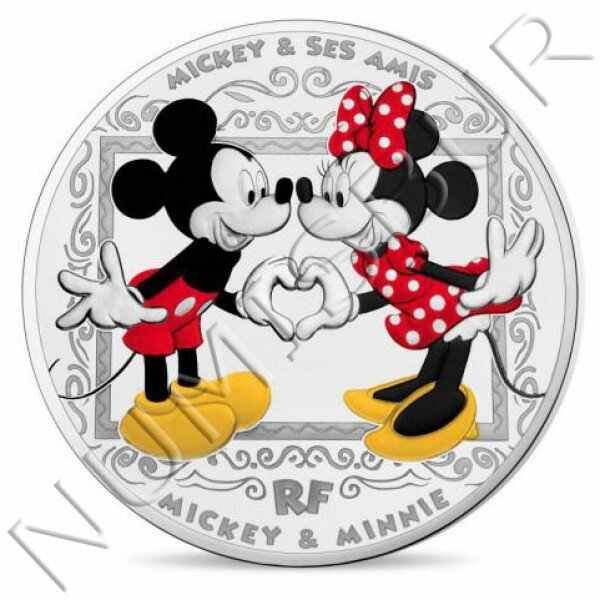 The obverse of this silver coin presents a full-length portrait of Mickey Mouse and Minnie. In love with each other, Mickey and Minnie are making a heart with their hand. They are enhanced with a colorization that reveals the metal. The words "Mickey & ses amis" explains the series. The reverse of this coin presents Mickey face. Mischievous and happy, Mickey is winking. Mickey's head is mirror polished to be emphasized. The background represents Disney's universe with a pattern of stars and mickey's mouse heads. 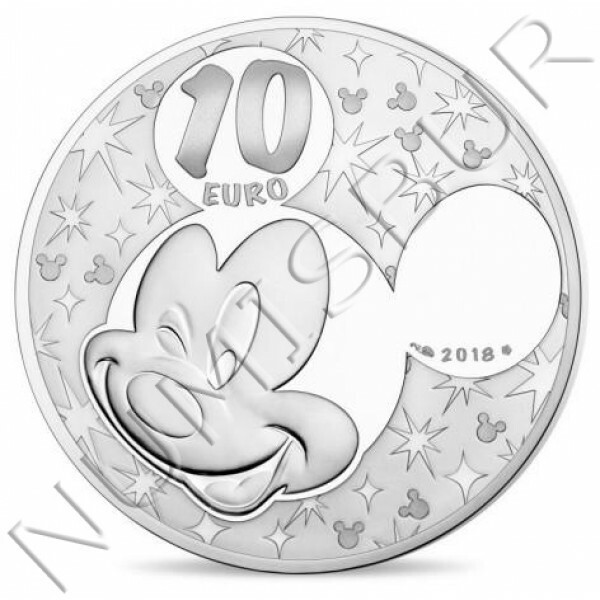 The 10 € face value is inscribed in Mickey's left ear, the year date is presented in the right ear.